Chatham Hall hosted over three hundred riders from 25 teams this past weekend for the IEA Regional Finals. With eight upper school teams jockeying for points, Chatham Hall fought their way to a fourth place finish, barely missing the opportunity to move forward to Zone 3 Finals as a team. Team points were earned by Elizabeth Trexler '17 in the Open Flat division, Hailey Johnson '19 in the Novice Fences division, Caroline Hawthorne '19 in the Novice Flat division, and Isabella Hubbard '19 in the Walk Trot Canter division. Caroline Hawthorne '19, Juliette Alliata '17, Susie Wu '18, and Marjory Lewis '19 had successful individual rides, but did not receive ribbons in large classes of qualified competitors. Chandler Runnells '19 finished 5th out of 22 riders in the Individual Intermediate Over Fences among a very competitive group of riders. Three riders will move forward as individuals to the Zone 3 Finals, riding against the top twelve riders in their respective divisions from teams throughout the southeast. 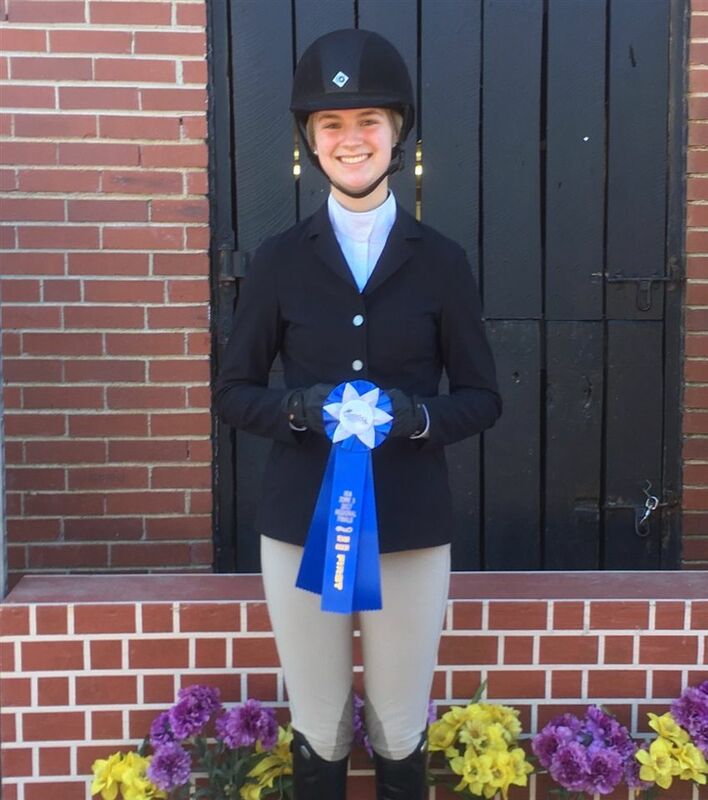 Hailey Johnson '19 will represent Chatham Hall in JV Novice Over Fences, Isabella Hubbard '19 will ride in the JV Beginner Walk Trot Canter division, and Elizabeth Trexler '17 will compete in both the Varsity Open Fences and Varsity Open Flat divisions. Zone 3 Finals will take place on March 4th at Hazelwild Farm in Fredericksburg, VA.